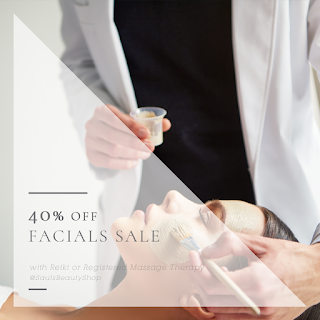 We're having a 40% off Custom Skincare Treatments (for face only) sale! Book yourself a 45 Minute Custom Skincare Treatment ($87 full price) with a 30 Minute Reiki Treatment ($40) on Tuesday or Fridays Oct. 9th-31st you'll receive 40% off your Facial. This special has no rain cheques and is not applicable with any other specials. If you book a Custom Skincare Treatment and Registered Massage Therapy appointment together, any length of time, Oct. 7th - Nov 3rd 2018 on Fridays starting from 11-4pm or Saturdays starting before noon you'll receive 40% off your Custom Skincare Treatment! This treatment must be booked using the promocode: "OctoberSelfCare" or mention the code when booking by phone, text or email or when cashing out. We're also offering a 2 service package of spray tans for a limited time! 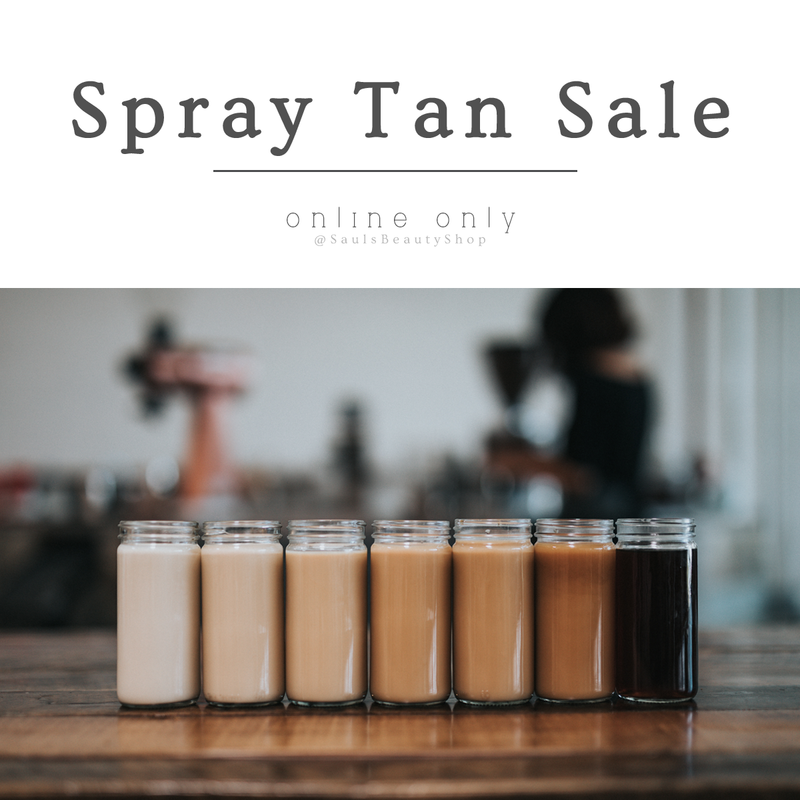 The Package includes one First Timer or Been Awhile Spray tan and then the follow up Regular Spray Tan at half price, for a total of only $68, the services expire at the end of the year.